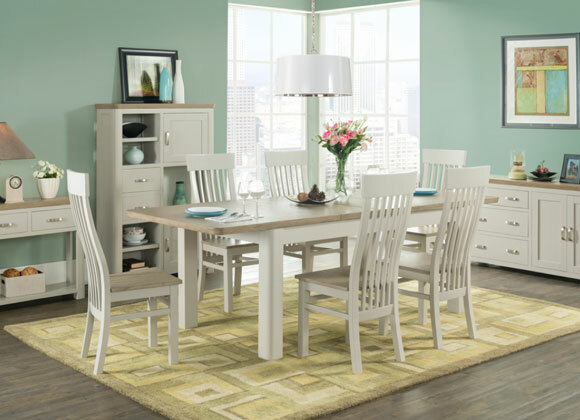 A collection of contemporary dining, occasional and bedroom furniture with a unique curved finish. Treviso offers a striking range for many living room designs and entertainment rooms. 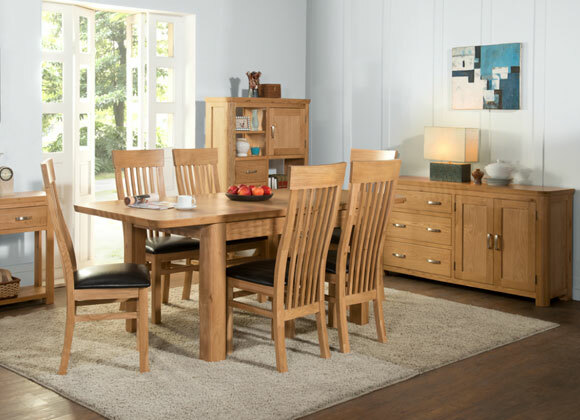 A range with curved edges and legs combined with dovetailed joints offers a collection that will be the centrepiece of any room setting, with a choice of metal and wooden handles included. 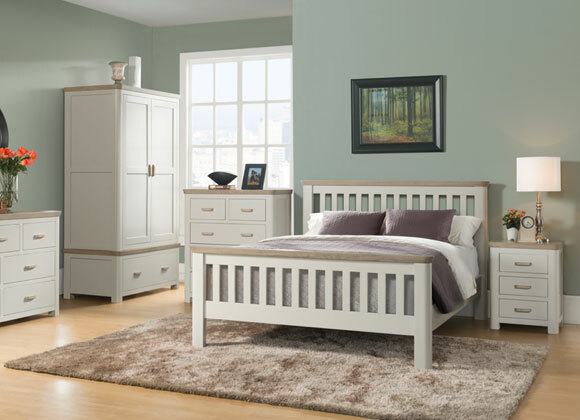 Also available in a stone painted finish with smokey oak tops and matching bedroom furniture to compliment the range.